Chatham docks have served the country as one of its major producers of ships, with over 500 being made for the Royal Navy alone. When the docks were first established is unclear, but the first documented mention of them was in 1544 when treasury accounts name it as the second most important dockyard after Deptford. Since the fort was in such a strategically important location it quickly grew in size, and was declared a Royal dockyard in 1567 by Queen Elizabeth I, who visited it herself in 1573. By the year 1770 it had grown so much that it stretched a whole mile from end to end, and employed over 10,000 ship builders at its peak. Its importance during the wars of England most likely changed the course of many wars, such as in world war 2 when it performed 1,360 refits and launched 16 new vessels. 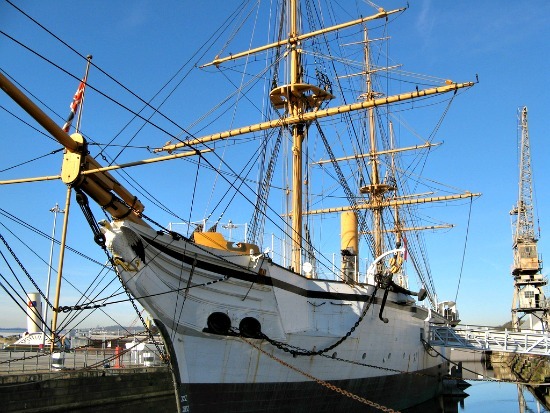 The dockyard closed down in 1984 due to a lack in demand and some very outdated equipment, today most of it has been occupied by business's and houses, but 84 acres are open to the public as a tourist attraction and are managed by the Chatham Historic Dockyard Trust. The docks have undoubtedly seen many deaths, since its such a major site and many accidents would have happened throughout the years, but this doesn't explain why its supposed to be the most haunted dock in the country. There are many sites, especially castles that have seen more death and are not nearly as haunted, so why are the docks such a special place? The real answer may never be known, but this doesn't change the fact that many people consistently come forward to make claims of experiencing something spooky. The most haunted area of the docks is believed to be the commissioners house. This Grade I, early 18th century building is home to more ghosts than the rest of the docks combined. The most well known ghost in this building is that of Peter Pett, who was a master shipwright during the 17th century. He is said to have been shamed with not being able to protect the English fleet during a raid by the Dutch in 1667 and this led to him taking his own life. His ghost has been seen throughout all areas of the house by many people, sometimes walking straight through walls as if passing through a doorway long bricked up. The house also has its own Grey Lady, which seems to be a rather familiar thing with old houses. She is most often seen on the stairs and landing area, and is once said to have appeared right behind one of the cleaners, giving her such a fright she refused to return to work. As for other stories there's pretty much everything you can imagine. The ghost of a drummer boy haunts the quay walls, along with a young boy and girl and many other various spirits, with reports claiming everything from sailors to knights.